Chandigarh 04th May:- The Asiad Gemini Circus reach Chandigarh once again to entertain the people of Tricity and surrounding areas. The circus will starts from May 04 and will run till 10th June at Manimajra near Housing Board light point. Circus will be inaugurated by Proud of the Nation and Chandigarh Commonwealth Games-2018 Medal winner Anjum Maudgil and Naresh Kadiyan, Chairman, Haryana Scouts and Guides. The organizer of the circus always presents something new every time and now this time too they are coming up with the artists of Ethiopia and the cyclist of Bengal. 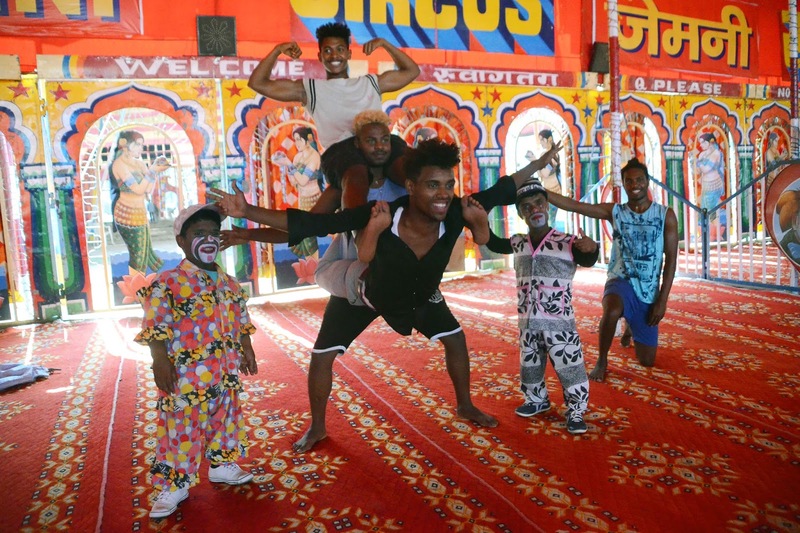 Circus manager Alankeshver Bhaskar and Sunil Goyal alias Billa said that the people of Chandigarh and surrounding areas are always crazy for the circus. We have always received good response from the peoples of here. Every time we bring something new in the circus, and this time too we brings something different. We hope people would definitely like. This time we specially bring Ethiopia's artists, who will enthrall the audience with their dance style. Similarly, Bengal's specially-called cyclist will also entertain the visitors with their amazing presentation. Sunil Goyal said that due to the Govt.’s policy of complete ban of the animals in the circus the business has been badly affected. The government is now issuing orders to shut down the circus business. With close closure, at least 125 families ( with Single Circus Unit), which are attached with the circus will get affected. He said that instead of giving some relief to this entertaining business that has been running for years, it is intent on closing it altogether. Alankeshver Bhaskar said that in order to deal with any kind of accident, organizers has made full arrangements to ensure safety, Water tankers, sand bags and fire extinguishers have also been kept to prevent any type of incident. Apart from this, CCTVs also have been installed here. He appealed to the people to come to the maximum number to save this profession and keep it alive.